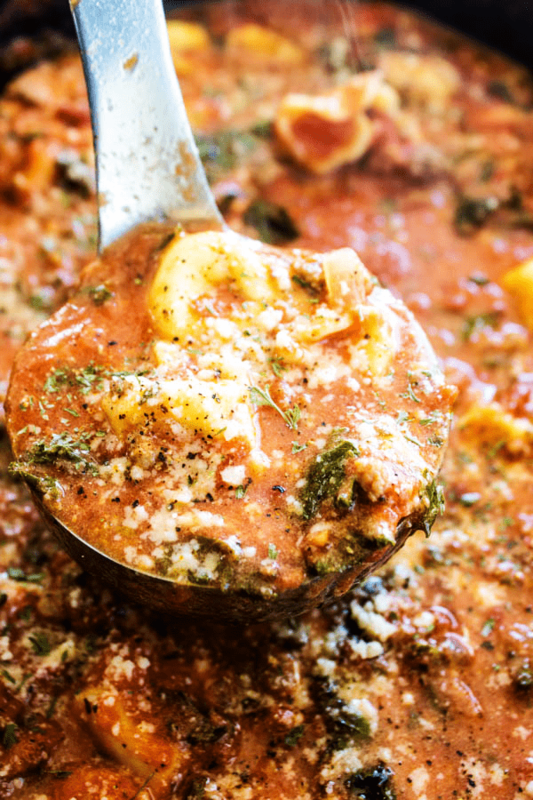 This hearty SLOW COOKER TUSCAN TORTELLINI SOUP will be a family favorite. 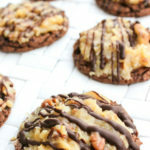 Delicious & easy to make, you’re simply going to love how easy it comes together. 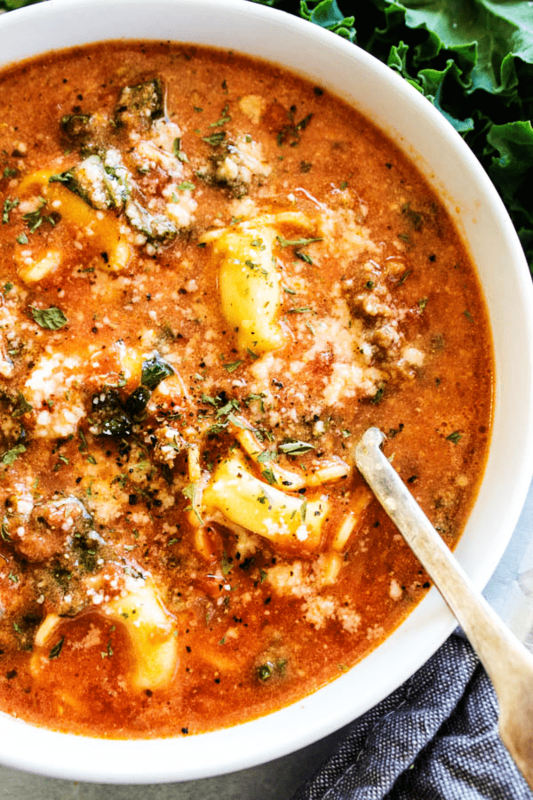 This Slow Cooker Tuscan Tortellini Soup is delicious, savory, and perfect for the cold fall and winter months. This soup makes a great addition to any family potluck, and is super easy and fun to make on a cold night! This recipe for SLOW COOKER TUSCAN TORTELLINI SOUP is sponsored by Three Bridges. All opinions expressed are my own. I love soup during the fall and winter months. In fact, last week alone we had a slow cooker soup or stew 4 days out of the week. It made life easy for me and dinner delicious for the family. I especially love simple tomato soups, while my kids love anything with cheese…lots of cheese. Since today is #TortelliniTuesday, we’ve decided to highlight a recipe using Three Bridges freshly made tortellini and seeing that it’s national pasta month, it’s a great time to try something new. 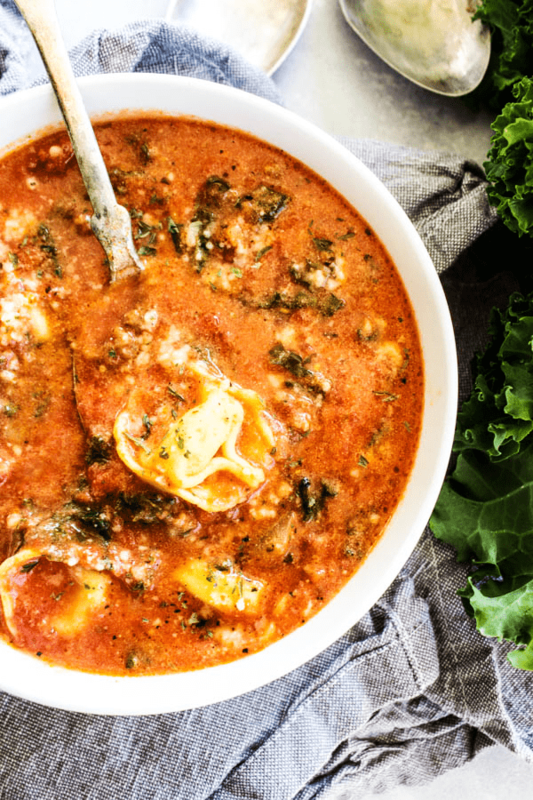 So this SLOW COOKER TUSCAN TORTELLINI SOUP combines both our favorites in one deliciously hearty soup. My favorite thing about this SLOW COOKER TUSCAN TORTELLINI SOUP besides the gorgeous dark red color, is that I can make this in my slow cooker. Literally, I threw all of the ingredients in my crock-pot and let it simmer. Then we topped it with some freshly grated parmesan cheese and sprinkled on some pepper and had the most amazing dinner. This SLOW COOKER TUSCAN TORTELLINI SOUP recipe makes a ton, so we had enough to give some friends for their dinner the next night too. We got a text the very next day saying how much they loved it. The star of this soup though is the tortellini. For this recipe, I used Three Bridges Triple Cheese Tortellini. Anything starting off with Triple Cheese is a best seller in our home, and it held up to our expectations. I could actually taste the cheese. This is not the case for all the tortellinis out there. What most impressed me about Three Bridges tortellini was that it held up in the soup so well. I could instantly tell this was a superior quality pasta. It tasted freshly made. I checked out the Three Bridges website and found their motto to be accurate:”Honest Food You and Your Family Deserve”. I knew they meant it as the tortellini tasted homemade. 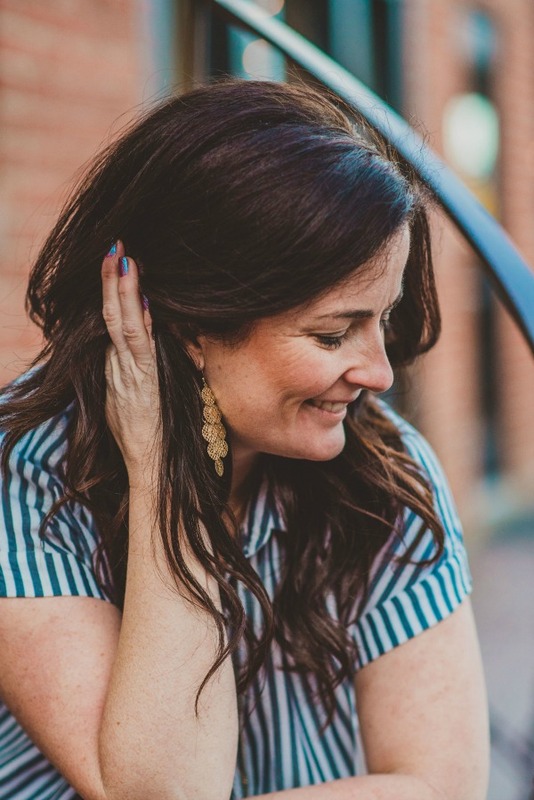 All of their products are made with wholesome ingredients and have simple recipes, meaning no preservatives, antibiotics, hormones and nothing artificial. They stand by their product and say they craft the tortellini in small batches; I think this is part of what sets them apart. Besides this soup just being downright delicious, it’s also beautiful to look at. I kind of just wanted to sit at the table and admire this soup for a while, but I had a hungry family, and it didn’t sit there for long. 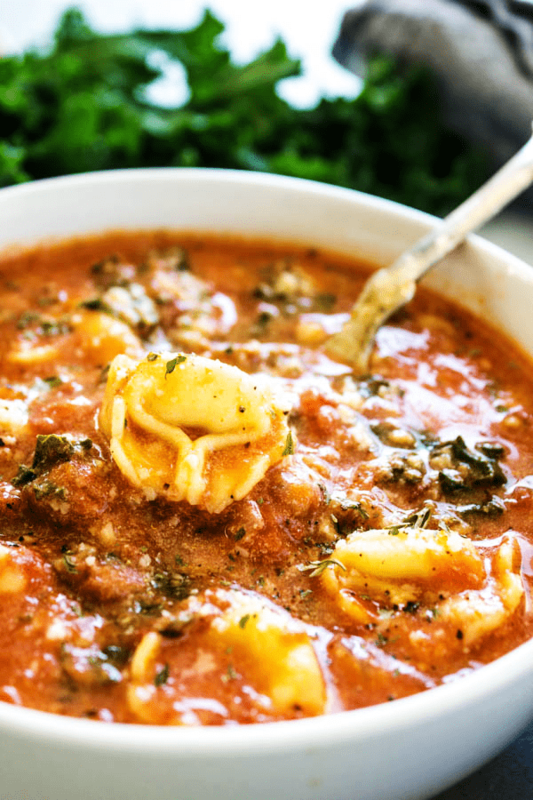 With the tomato base and the cheese tortellini, my kids didn’t even notice the kale in their soup, a mom-win for me. 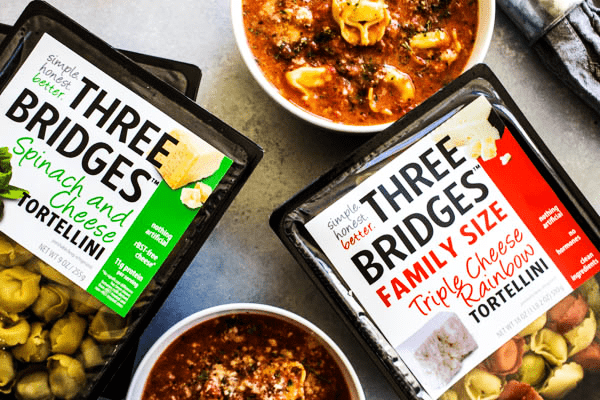 I prefer this soup with a little more liquid, and if I were to freeze it, I would only use one package of the Three Bridges Triple Cheese Tortellini. My kids on the other hand, love a more pasta, so I made this batch with two packages (so note what you prefer and adjust the recipe to your liking). In a large pan, add sausage, onion, and garlic. Roughly chop while the sausage is cooking and cook over medium-high heat until the sausage is completely cooked through, about 8-10 minutes. In a 6 qt. slow cooker, add chicken broth, crushed tomatoes, cooked sausage and all of the seasonings. Put lid onto slow cooker and cook on high for 2-3 hours or low for 4-5. How do you store Tortellini Soup? Store in an airtight container and refrigerate, the soup will last for 1-2 weeks if stored properly. 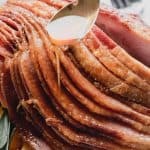 What can you make in a crock pot? 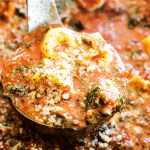 My favorite kitchen items to make this SLOW COOKER TUSCAN TORTELLINI SOUP are below, you will want of few of these just for your everyday cooking. Don’t forget to pin this recipe for SLOW COOKER TUSCAN TORTELLINI SOUP to your favorite Pinterest board for later. Though! How much broth do you put in? Thanks! Oh, my! I made this today. It is sooooooo delicious! It makes enough to feed a crowd! I will have plenty of leftovers to freeze and pull out for several meals! Yay! 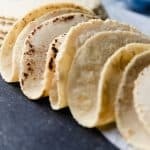 Is this dried tortalini or refrigeratored? 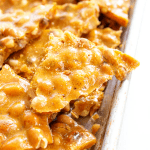 This was made with refrigerated, but if you only have dried that should work too! Just adjust the time to ensure that they are fully cooked to your liking. Anyone make this dairy free or no heavy cream? I’m so glad you enjoyed it! I haven’t made it without the cream so I’m not completely sure. 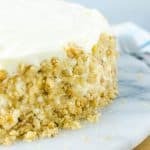 If you are okay with coconut, then coconut cream may be a good substitute. Hi there! 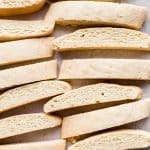 Would the cooking time be the same if I halved the recipe? There is only 3 of us so 12 servings is to much for us. Has anyone substituted the kale for another leafy green? I’m not a big kale person but would love to try this recipe! Spinach is definitely worth a try, but you can always make it without any! If you want the pop of green you could just use some fresh basil as well. 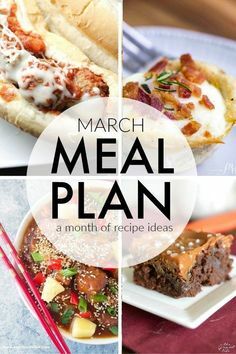 Let us know what you think once you make it!